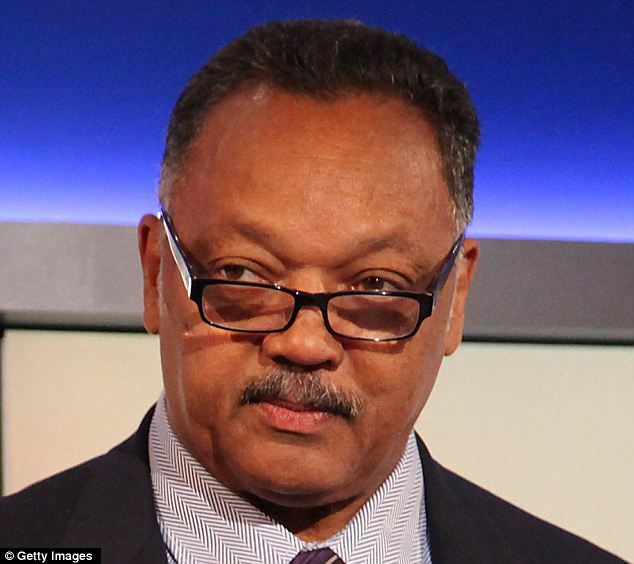 Jesse Jackson is heartbroken over his son’s troubles because there is ‘nothing worse than when you can’t fix something for your kid’, friends have revealed. 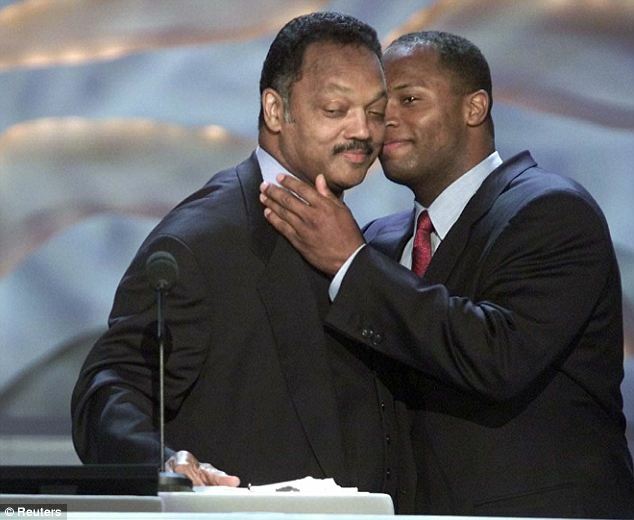 The civil rights campaigner is said to be finding it ‘incredibly hard’ to watch Jesse Jackson Jr’s political career implode amid claims of marital infidelity. This week his his son handed in his resignation as a member of the House of Representatives for Illinois. 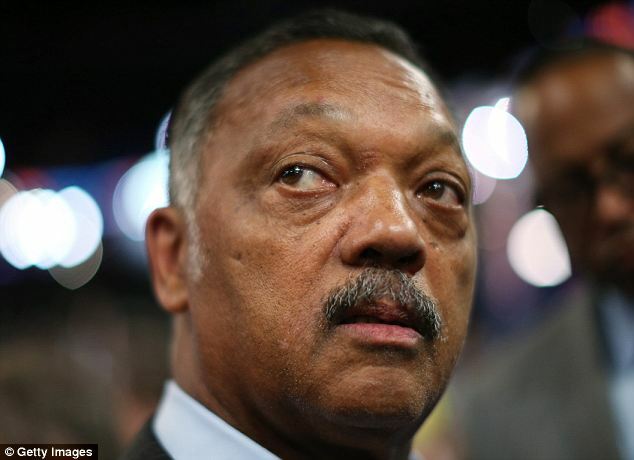 Watching that happen left Jesse Jackson ‘very, very concerned’, especially as the reason in part appears to be his battle with bipolar disorder. Feeling ‘at a loss’ will be alien to Jackson, who for decades has made it his business to interject himself into public events to exert his own will on them. But when it comes to his son, however, things seem to be beyond even his control. The problems for Jackson Jr, 47, had been mounting before his resignation and he has been investigated for alleged financial improprieties with his campaign. Prosecutors alleged he used money which had been donated to him to refurbish his home and for personal gifts, which could be a criminal offence. Then in the summer he went missing from Congress, with his office initially claiming that he was exhausted. He eventually admitted that he was suffering from bipolar II disorder and sought treatment at the Mayo Clinic in Rochester, Minnesota. According to the New York Times, his father, 71, regarded his son’s political career as part of the ‘family business’ and seeing him falter has been agony to watch. A close family friend said that even his attempts to control the media coverage by pulling strings behind closed doors have failed. The friend said: ‘That’s why this is so incredibly hard. Frank Watkins, an aide to Jackson Jr, added that he saw ‘confusion’ among the elder Jackson. Another strand of Jackson Jr’s problems relate to his friendship to the disgraced former Illinois governor Rod Blagojevich. Jackson Jr was implicated but never charged in the scandal where Blagojevich tried to sell President Obama’s Senate seat when he became president in 2008. In his resignation letter Jackson Jr said: ‘For seventeen years I have given 100 percent of my time, energy, and life to public service. Speaking to the New York Times, Alderman Sawyer, son of the late Mayor Eugene Sawyer of Chicago, who has known the Jackson family for many years, said: ‘For such a powerful man, for such an influential man, to not be able to control the outcome of what’s going on, I’m sure, is frustrating’.